Teen Titans started as a cartoon that brought together the teenage members of the DC Universe in a comedy format; it became a comic, then the comic was adapted into another cartoon, and now we have Teen Titans Go!, which is an adaptation of that cartoon (Caleb explains it all in his review of the first issue). Origin stories aside, Teen Titans Go! definitely qualifies as a Good Comic For Kids (Caleb compared it to BOOM! 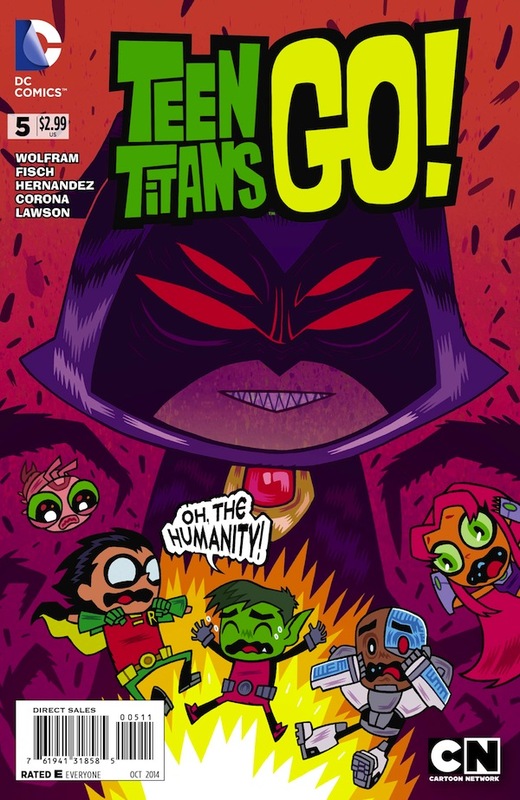 Studios’ Adventure Time comics), so we’re happy to present this preview of Teen Titans Go! #5, which will be out in comics shops next Wednesday. Enjoy!